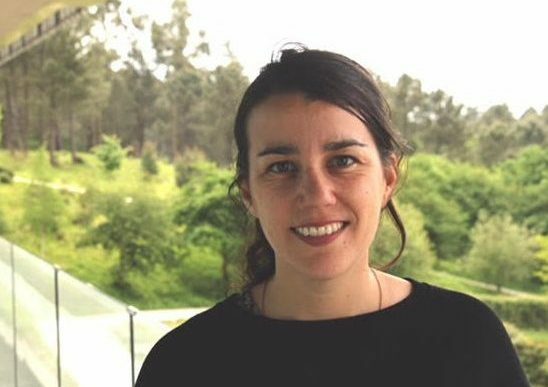 The Intergovernmental Panel on Climate Change (IPCC) through the Spanish Office of Climate Change (OECC) has named Elena Ojea Lead Author in Working Group II Chapter 3 of the upcoming 6th IPCC Assessment Report. In this chapter, she will be working on synthesizing the best available science on the impacts of climate change on ocean and coastal ecosystems and their services. With Elena’s contribution this IPCC Report will include for the first time ever information on the adaptation of marine systems to climate change. This is the topic which Elena has been working on for the past 10 years, most recently through Project CLOCK, funded by the ERC Starting Grant, and the Future Oceans Lab. The main goal of her ongoing research is to provide policy-relevant relevant results to tackle global climate change impacts. Elena will be joined in the Working Group by Lisa Levin from the Scripps Institution of Oceanography in La Jolla, California (USA); Karim Hilmi from the Institut National de Recherche Halieutique (INRH, Morocco); Mette Skern-Mauritzen of the Institute of Marine Research in Norway; Bjoern Rost from the Alfred Wegener Institute (Germany); Marie-Fanny Racault at the Plymouth Marine Laboratory (UK); Wolfgang Kießling of the Geozentrum Nordbayern (Germany); Shin-Ichi Ito from The University of Tokyo (Japan); Dawit Yemane Ghebrehiwet from the Department of Agriculture, Forestry & Fisheries in Eritrea; Simon Donner from the University of British Columbia (Canada); Sarah Cooley of the Ocean Conservancy (USA); Philip W. Boyd from the Institute for Marine and Antarctic Studies, University of Tasmania (Australia); Laurent Bopp from the Centre National de la Recherche Scientifique / Ecole Normale Supérieure (France); David Schoeman from the School of Science and Engineering, University of the Sunshine Coast (Australia); and Norma Patricia Muñoz Sevilla from the Instituto Politécnico Nacional – Interdisciplinary Center for Research and Studies on Environment and Development (Mexico). More news on Elena and the IPCC Report can be found in the IPCC website, our local newspaper Faro de Vigo, and the University of Vigo online news, among others.